How much pot can be carried in California? Jan. 12, 2017 | WASHINGTON: FOR IMMEDIATE RELEASE Nearly 100 Conclusions on the Health Effects of Marijuana and Cannabis-Derived Products Presented in New Report; One of the Most Comprehensive Studies of Recent Research on Health Effects of Recreational and Therapeutic Use of Cannabis and Cannabis-Derived Products. A new report from the National Academies of Sciences, Engineering, and Medicine offers a rigorous review of scientific research published since 1999 about what is known about the health impacts of cannabis and cannabis-derived products – such as marijuana and active chemical compounds known as cannabinoids – ranging from their therapeutic effects to their risks for causing certain cancers, diseases, mental health disorders, and injuries. The committee that carried out the study and wrote the report considered more than 10,000 scientific abstracts to reach its nearly 100 conclusions. Currently, cannabis is the most popular illicit drug in the United States, in terms of past-month users. Based on a recent nationwide survey, 22.2 million Americans ages 12 and older reported using cannabis in the past 30 days. This survey also reports that 90 percent of adult cannabis users in the United States said their primary use was recreational, with about 10 percent reporting use solely for medical purposes. Around 36 percent reported mixed medical and recreational use. In addition, between 2002 and 2015, the percentage of past-month cannabis users in the U.S. population ages 12 and older has increased steadily from 6.2 percent to 8.3 percent. Mental health: The evidence reviewed by the committee suggests that cannabis use is likely to increase the risk of developing schizophrenia, other psychoses, and social anxiety disorders, and to a lesser extent depression. Alternatively, in individuals with schizophrenia and other psychoses, a history of cannabis use may be linked to better performance on learning and memory tasks. Heavy cannabis users are more likely to report thoughts of suicide than non-users, and in individuals with bipolar disorder, near-daily cannabis users show increased symptoms of the disorder than non-users. HAMILTON, Ontario, Feb. 02, 2017 (GLOBE NEWSWIRE) — In response to the recommendations of the Task Force on Marijuana Legalization and Regulation, the Canadian Consortium for Early Intervention in Psychosis (CCEIP) has released a position statement recommending that age of access to cannabis not be prior to the age of 21, while also restricting quantity and THC potency for those between 21-25 years of age. Some studies suggest that cannabis-induced psychosis is an early sign of schizophrenia rather than a distinct clinical entity, while other studies suggest that cannabis use is associated with an increased risk of psychosis with a dose-dependent effect. 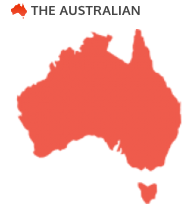 The following case study describes a young man with no prior or family history of psychosis who became psychotic after smoking cannabis twice. From the Primary Care Companion for CNS Disorders: In this case of cannabis-induced psychosis, the patient experienced worsening psychosis the more he was treated with antipsychotics. And then seizures? Read how the cycle was ended. Department of Psychiatry, College of Physicians and Surgeons, Columbia University Medical Center, New York, NY New York State Psychiatric Institute, New York, NY Potential conflicts of interest: None. Funding/support: None. Published online: February 2, 2017. Prim Care Companion CNS Disord 2017;19(1):16l01993 © Copyright 2017 Physicians Postgraduate Press, Inc.
Public perceptions about pot have come a long way, from the dire warnings of “Reefer Madness” to growing acceptance of medical marijuana to the legalization of recreational weed use. Editor’s note: Dr. Stuart Gitlow is the president of the American Society of Addiction Medicine and chairman of the scientific advisory board of Smart Approaches to Marijuana. This story is part of a partnership between MedPage Today and VICE News. In the year before his first and only psychotic episode, Devan Fuentes, who was then a 19-year-old community college freshman, was smoking four or five joints a day. Marijuana didn’t affect him the way it affected most other people. SEE (2) VIDEOS in VICE News. The likelihood of marijuana initiation rebounded at age 18 for a second peak. This corresponds to another major milestone in the lives of many young adults, said Bin Yu, M.D., M.P.H., one of the study’s co-authors, and a research assistant in the UF department of epidemiology. The researchers found that by age 21, 54 percent of young adults will have used marijuana. By Ian Sample | Science Editor | April 15, 2016 The risks of heavy cannabis for mental health are serious enough to warrant global public health campaigns, according to international drugs experts who said young people were particularly vulnerable. Estimates suggest that deterring heavy use of cannabis could prevent 8-24% of psychosis cases handled by treatment centres, depending on the area. In London alone, where the most common form of cannabis is high-potency skunk, avoiding heavy use could avert many hundreds of cases of psychosis every year. The warning from scientists in the UK, US, Europe and Australia reflects a growing consensus that frequent use of the drug can increase the risk of psychosis in vulnerable people, and comes as the UN prepares to convene a special session on the global drugs problem for the first time since 1998. Can we please stop pretending marijuana is harmless? The truth is it can indeed mean trouble, especially for young people. 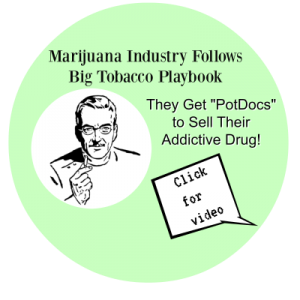 By: Dr. Sushrut Jangi 10-8-15 (Dr. Sushrut Jangi is an internist and instructor in medicine at Beth Israel Deaconess Medical) But underscoring the incredible momentum to legalize marijuana is the misconception that the drug can’t hurt anybody. It can, especially young people. These days, it’s become fairly square to criticize marijuana and its rush toward legalization. Twenty-three states have condoned the drug in some form, with four permitting recreational use, and Massachusetts is set to vote on permitting it next year. Is cannabis “safer” than alcohol? “People who smoked cannabis four or more days of the week over many years ended up in a lower social class than their parents, with lower-paying, less skilled and less prestigious jobs than those who were not regular cannabis smokers,” said Magdalena Cerdá, an epidemiologist at the UC Davis Violence Prevention Research Program. “These regular and persistent users also experienced more financial, work-related and relationship difficulties, which worsened as the number of years of regular cannabis use progressed.” Cerdá is lead author of a research study with colleagues at Duke University that has been following a group of children born in 1972-1973 in Dunedin, New Zealand, from birth to age 38 to assess changes in health over a lifetime. The research team recently published a study on the impact of heavy and persistent cannabis use among these research participants. FEATURE | Posted March 23, 2016 It’s often said that marijuana is “safer” than alcohol, in terms of fewer deaths from overdoses, traffic accidents and health-care costs, but a study by UC Davis and Duke researchers has found that from a financial and social point-of-view, there’s nothing safe about heavy cannabis use. By Brian Blake| March 11, 2016 When the Reagans moved into the White House on Jan. 20, 1981, drug use, particularly among teenagers, was hovering near the highest rates ever measured. Of that year’s graduating class, 65 percent had used drugs in their lifetimes and a remarkable 37 percent were regular drug users. When the Reagans moved into the White House on Jan. 20, 1981, drug use, particularly among teenagers, was hovering near the highest rates ever measured. Of that year’s graduating class, 65 percent had used drugs in their lifetimes and a remarkable 37 percent were regular drug users. Two ingredients in marijuana have opposite effects on certain regions of the brain, according to a new study. One chemical, called tetrahydrocannabinol (THC), increases the brain processes that can lead to symptoms of psychosis, while another compound, called cannabidiol, may negate such symptoms, according to the study. Habitual marijuana use may inhibit the brain from maturing properly, according to on-going research conducted by a team of scientists at Rosalind Franklin University of Medicine and Science in North Chicago. Kuei Tseng, associate professor of molecular pharmacology, reported Tuesday on preliminary findings from the research with rats. The study, published in the American Journal of Psychiatry, found that six million adults have experienced marijuana use disorder in the past year, but only 7 percent received any marijuana-specific treatment. Already a pioneer in high-tech and cutting-edge agriculture, Israel is starting to attract American companies looking to bring medical marijuana know-how to a booming market back home. Since 2014, U.S. firms have invested about $50 million in licensing Israeli medical marijuana patents, cannabis agro-tech startups and firms developing delivery devices such as inhalers, said Saul Kaye, CEO of iCAN, a private cannabis research hub. Scientists say strict rules, some set by the Drug Enforcement Administration, limit cannabis studies in the United States, where the legal marijuana market is valued at $5.7 billion and expected to grow to to $23 billion by 2020. Scientific studies increasingly suggest marijuana may not be the risk-free high that teens — and sometimes their parents — think it is, researchers say. 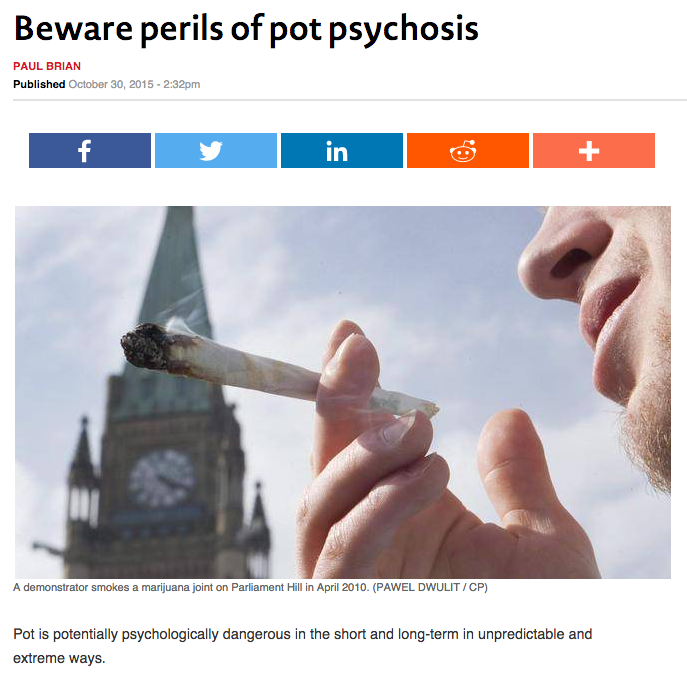 Yet pot is still widely perceived by young smokers as relatively harmless, said Dr. Romina Mizrahi, director of the Focus on Youth Psychosis Prevention clinic and research program at the Centre for Addiction and Mental Health. Such fallout is increasingly evident in the 19-bed crisis monitoring unit at the Children’s Hospital of Eastern Ontario in Ottawa. “A Danish study of 7,075 individuals followed from 1994-2005 showed that not only is the absence of a familial history of mental illness no protection against cannabis-induced psychosis, “the risk of schizophrenia and cannabis-induced psychosis and timing of onset were unrelated to familial disposition”. White matter damage caused by ‘skunk-like’ cannabis, study shows. Smoking high potency ‘skunk-like’ cannabis can damage a crucial part of the brain responsible for communication between the two brain hemispheres, according to a new study by scientists from King’s College London and Sapienza University of Rome. James Cook Univ researcher Alan Clough after a 5 year study of heavy marijuana use in a remote indigenous tribe of Australian Aborigines, 2009. A method of marijuana consumption known as dabbing has led to more emergency room visits and a new treatment protocol at Providence St. Peter Hospital in Olympia. Illinois’ medical cannabis program is one of the strictest in the country and only qualifies patients suffering from serious conditions, including cancer and HIV/AIDS, for marijuana treatment. The state does not qualify patients suffering from more common conditions such as chronic pain or sleep disorders. And this research specifically notes that it is just such patterns of access, frequency, and persistence of use that contribute to the overall dependency-producing potential, in conjunction with the biology of the substance itself in relation to the brain. Simply put, were marijuana to be legal, and subject to access and use patterns comparable to alcohol or tobacco on a daily basis, the impact on subjects as found in dependency and addiction rates, while unknown, would likely be staggering. Published: December 2, 2013, Written by: Jim LaPierre One of the biggest failures of modern dual diagnosis treatment is that we often label those active in addiction or early in recovery with mental health conditions that they don’t have. One of the benefits of “old school” treatment was the recognition that an accurate baseline is unattainable prior to significant sober time (six to twelve months ideally). There are certainly times when addiction is masking and/or medicating a major mental illness, but too often clinicians jump to premature findings. How do we protect teenagers? This suggests very widespread consumption among younger teenagers in some parts of the (UK)country, since problems don’t normally develop until after smoking large quantities of powerful weed. The problems that can arise from such abuse are devastating. Psychotic breakdowns smash up lives and can lead to full-blown schizophrenia. This is a small risk of a dreadful outcome, something well worth a proper public health campaign. Absolute proof that cannabis can drive a minority of users mad can’t be obtained for ethical reasons. But the evidence we have is compelling enough to justify a proper public education programme of sufficient power to get the message out to vulnerable users and their friends and peers. Drugs policy in the UK is not actually made in smoke-filled rooms but it might as well be. The mixture of befuddled optimism with a lack of urgency that characterises official thinking about cannabis has had dangerous results.